New Year’s resolutions are made each and every time the ball drops in Times Square and we all sing Auld Lang Syne. 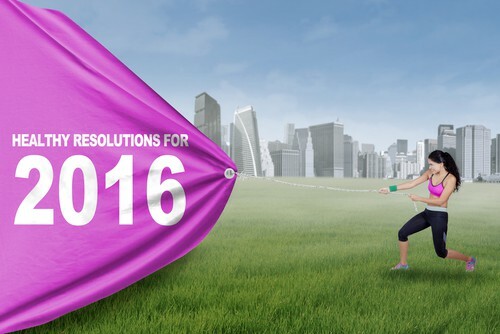 Resolutions give us hope for a better, more successful, healthier year. But unfortunately nearly half of all resolutions fail within six months. At my Long Grove dental office, we want to challenge our patients to make resolutions towards a healthier smile and keep them all year long. Visit your dentist in Long Grove. We don’t recommend visits every six month just because we like you (which we promise we do! ), but because they are necessary for keeping your smile healthy. At each visit we’ll check for issues and if we find any, we’ll work with you to discuss the best treatment. Many dental problems are fixed successfully if they’re caught early, so don’t put off your dental visits. If you’re ready to make 2016 the year when you get the healthiest, brightest smile of your dreams, give my Long Grove dental office a call today. We’ll talk about your smile goals and decide on the best plan for you.